Sally Wise, the bestselling author of Slow Cooker, Slow Cooker 2 and Complete Slow Cooker, shows how many exciting flavours can be coaxed from the depths of your slow cooker! Slow cookers are the perfect cooking method for both the time-poor and families big and small, helping you make delicious, healthy, low-cost meals with minimal effort. These 100 new recipes from the queen of Australian slow cooking include flavour-packed recipes for soups, mains - beef, lamb, chicken, pork, goat, seafood and vegetarian - and delectable desserts. Many recipes also include optional accompaniments to create while the slow cooker works its magic, so you can either keep a dish simple or style it up. 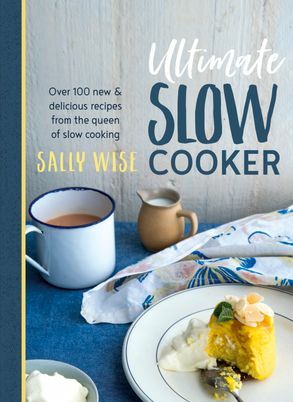 So let Sally show you how to save time and money with slow cooking - without sacrificing flavour or creativity.